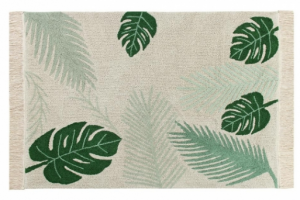 Botanic Plants: This earth loving rug can match house plants and furniture in an office space or living room area. The warm ombré tones can also cover old hardwood floors and titles. 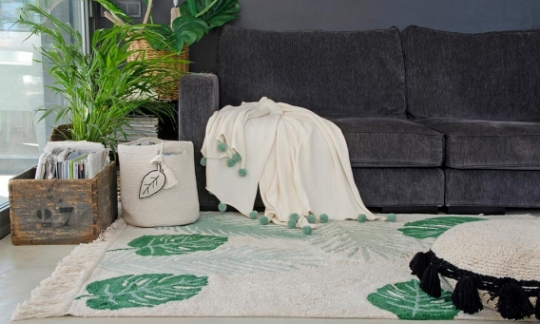 Tropical Green: Try out Lorena Canals’s Tropical Green rug in your apartment space. 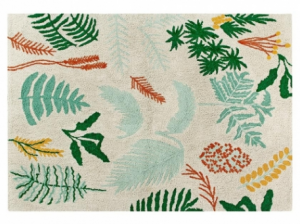 This rug will also be a great gift for a child going off to college or for a bridal shower. Its versatility can go with any room decor! 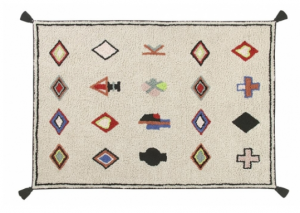 Naador: This tribal inspired rug can spice up any living space that needs a pop of color! Try this rug out in a laundry room or even near the front door of your home! Visit Lorenacanals.us to order one one of these many rugs!